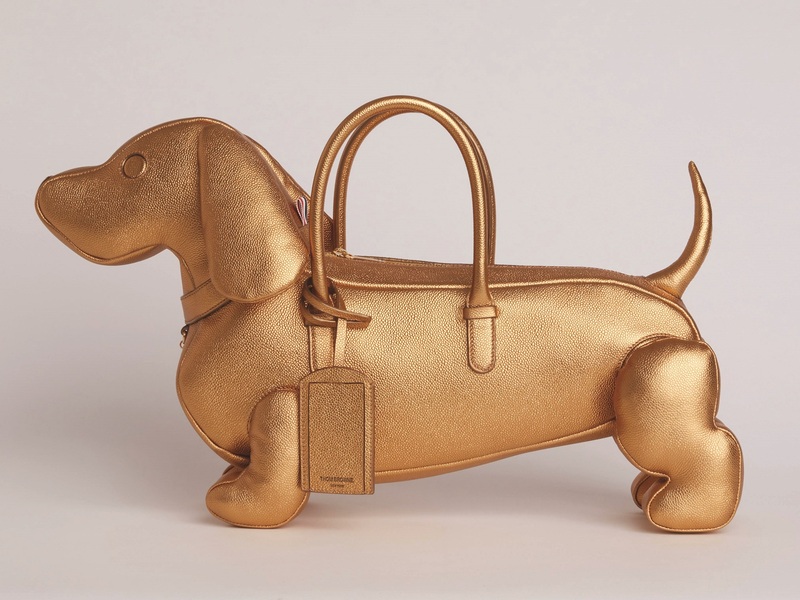 The famed Hector bag, mirrored after the designer’s beloved wire-haired dachshund, puts on a gold metallic shroud behind hitting the streets, coinciding with the season’s collection of men’s tailoring pieces with feminine proportions and details, blurring the line of cultural construct on what is considered womenswear and menswear. If superheroes are to carry a bag for all their save-the-day needs, this comic book-inspired printed calf leather belt bag is all they need. Inspired by the work of German textile artist Gunta Stölzl, the Gunta M Stripe Visetos weekender features a hidden M-shaped monogram rendered in graphic blue, black, white and grey. After the questionable Ikea bags, comes the plastic bag-inspired bag of soft and silky lambskin, transforming your trips to Tesco akin to walking down the aisles in Waitrose. The brand’s influence from British automotive engineering continues with the Radial collection. Constructed in a technical nylon, with grained calf leather details, haulage slider hardware and automotive webbing straps. There may not be anything comparable to a red Valentino dress for the ladies, but this leather tote with black lining is close enough for the men. You may think twice about bringing this sports-inspired backpack on your next trekking trip, but it speaks volume of your love for the outdoors with its sports webbing, scuba zips, cording and hardware. The latest Atelier Leather collection displays an air of savoir-faire, and the house’s contemporary vision with the signature logo: Christian Dior Atelier at 3 Rue de Marignan, upon essentials of hardwearing grained calfskin. Packing for the weekend getaway is effortless with the surf-inspired prints of colourful paddles, printed upon the satin-finish nylon canvas of the iconic Le Pliage Néo. This portfolio holder of textured calfskin with a front handle lets you have a firm hold on any future you are to embark on in your career.